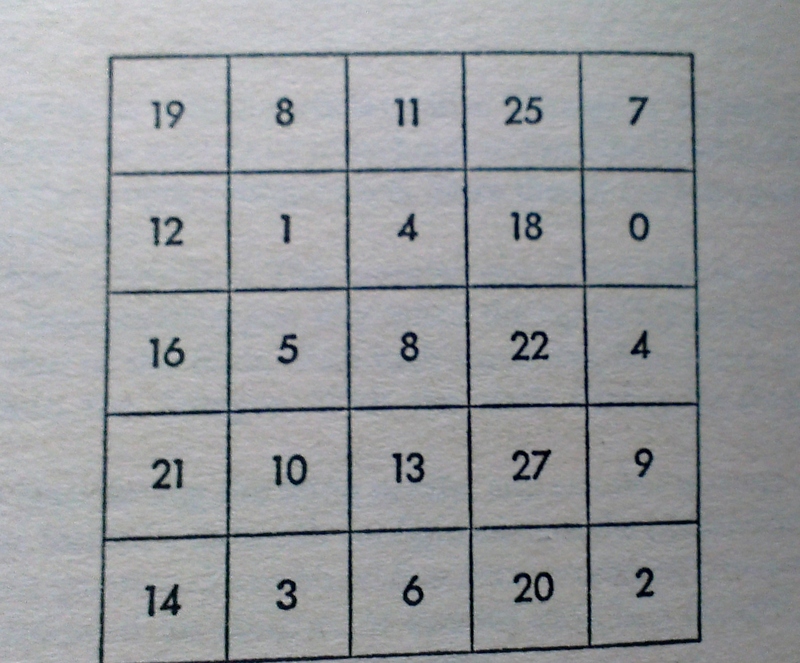 I came across this rather interesting “magical” square – let’s see if you can figure out the trick behind this. This is good for all ages. At first glance, the square does not appear to have any special property. However, do the following experiment. Ask someone to pick any number and cover it with a coin. 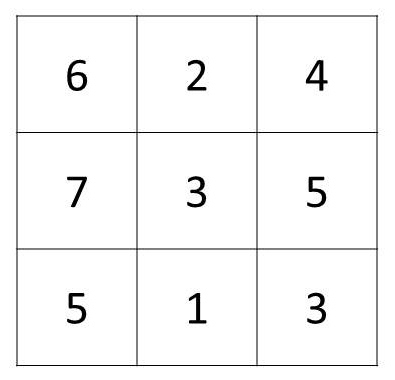 Eliminate all the numbers in the row and column where the coin has been placed (except the number below the coin). Now select any other number from the ones that still remain, and do exactly what you did before. Repeat this two more times. Only one number should remain on the square now, cover it with the fifth coin. Remove the coins and add all the five numbers. You will find that no matter which numbers you had selected, the addition is always 57. Can you figure out why? You will notice that no matter which ones you select, sum is always 12! This entry was posted in Puzzles and tagged Alok Goyal, Magic Square, Martin Gardner. Bookmark the permalink.